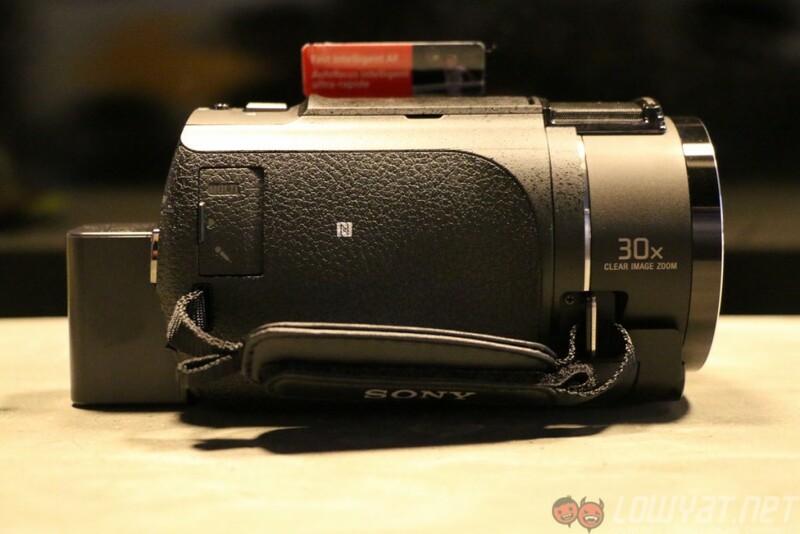 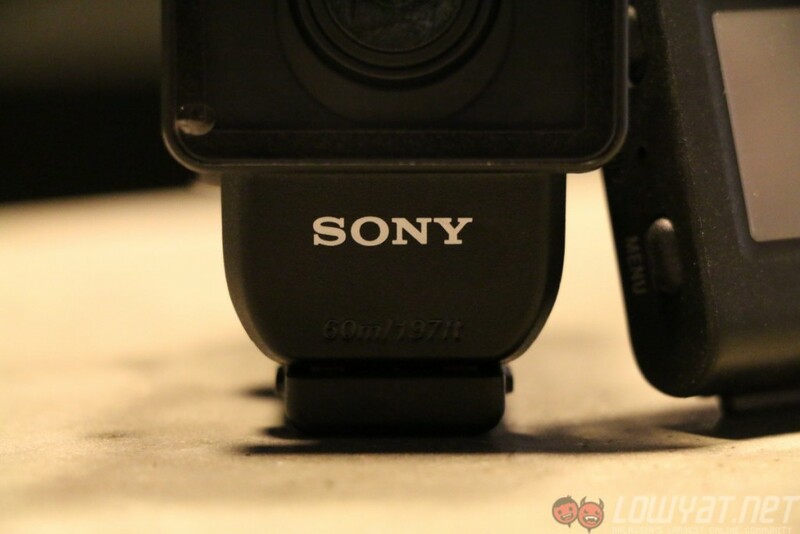 Sony launched a total of four videography products, with three of them under the Handycam lineup. 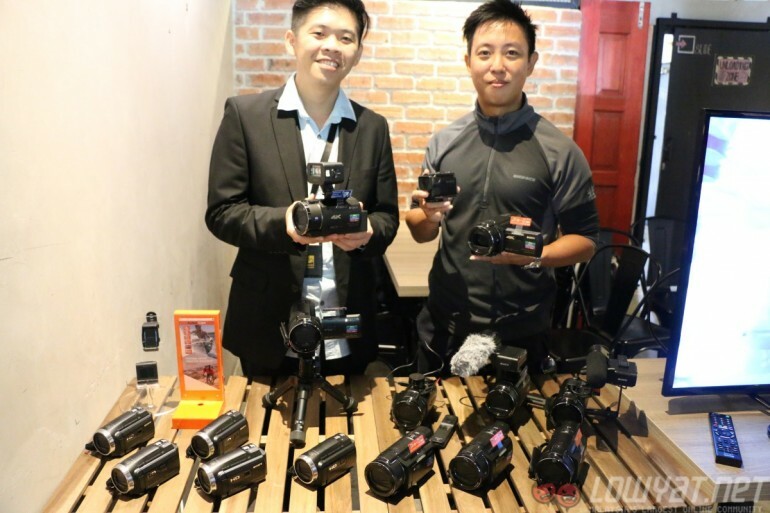 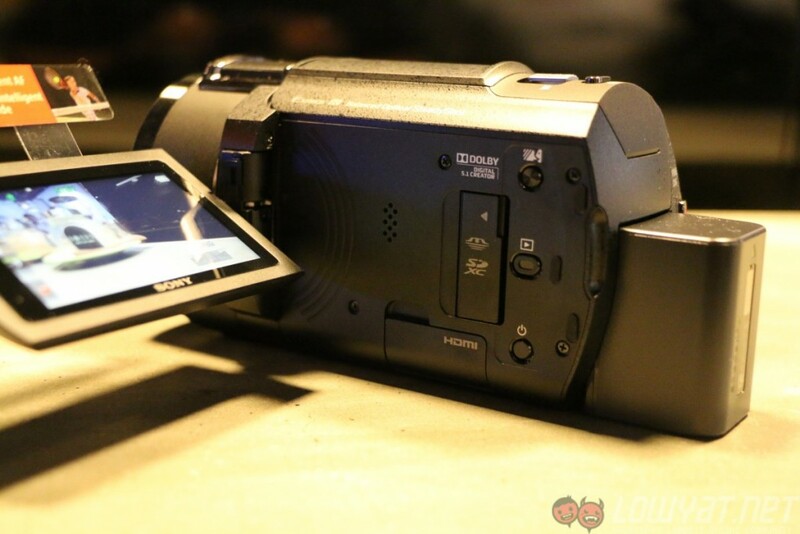 These new Handycams are called the FDR-AXP55, FDR-AX40, and the HDR-PJ675. 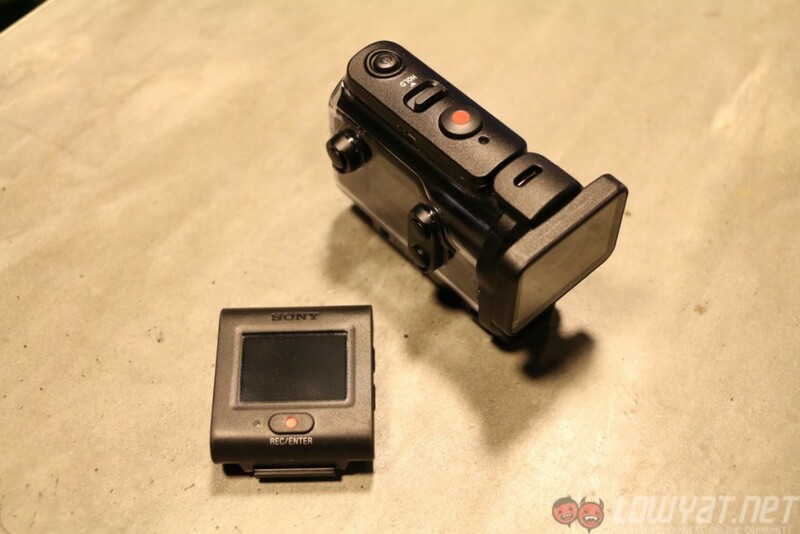 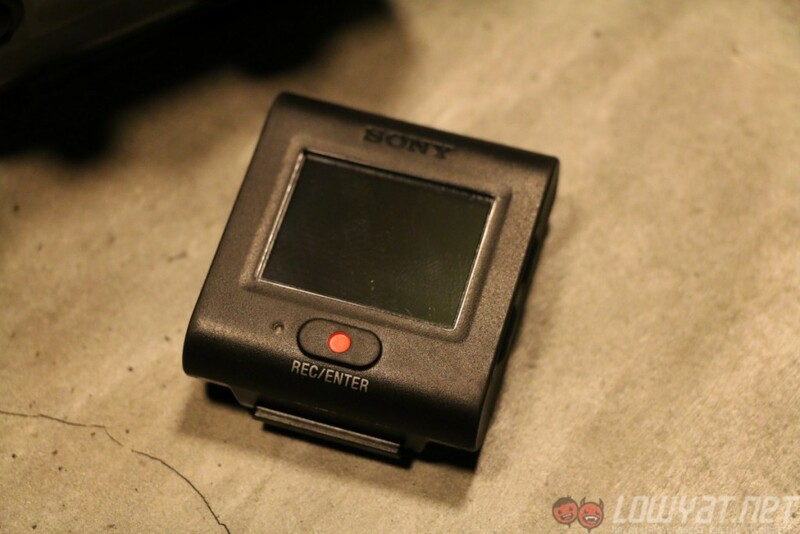 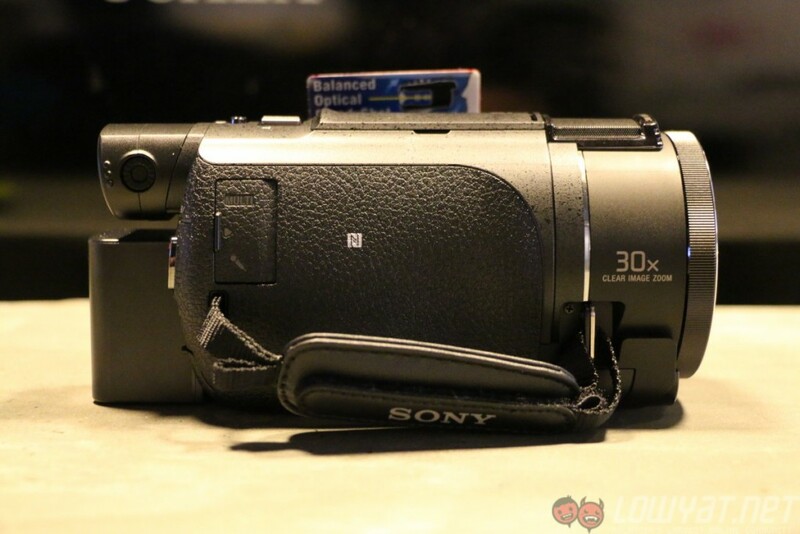 Other than that, Sony also launched a new action camera – the HDR-AS50. 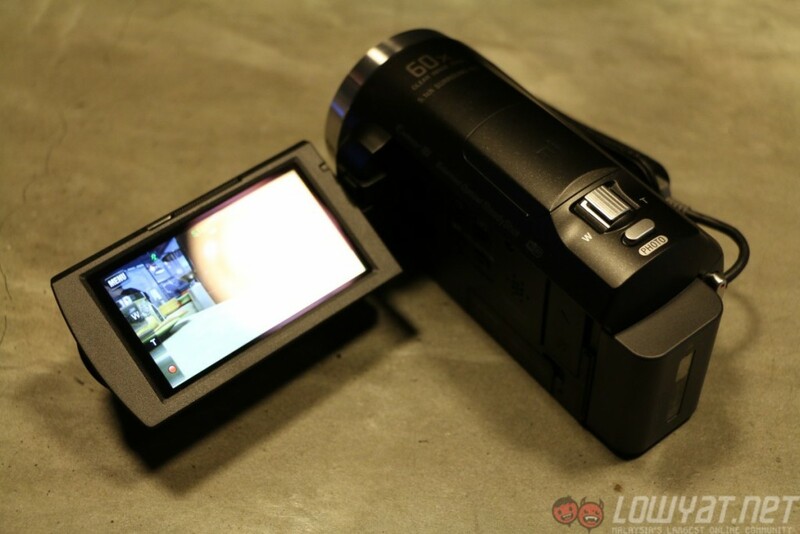 Among the three Handycams, the FDR-AXP55 is the highest end model. 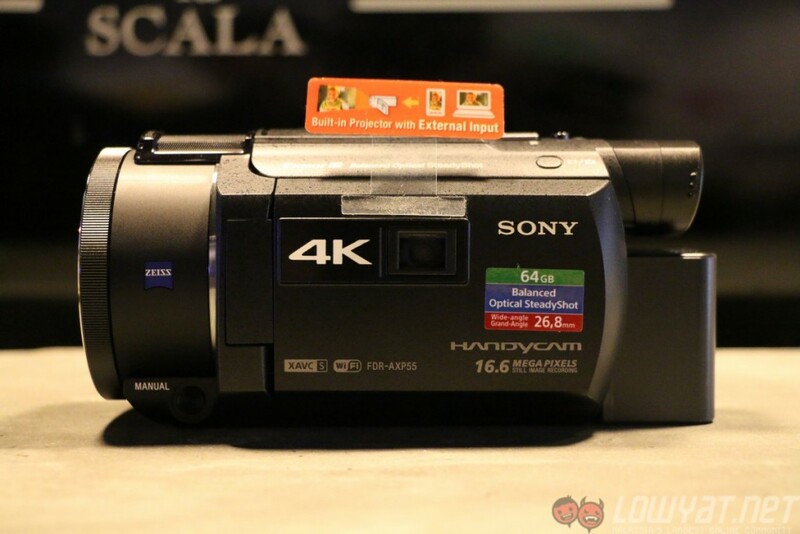 The Handycam features 4K recording at 100mbps at XAVC S format, is equipped with Sony’s new Exmor R CMOS sensor, has a 500mm zoom lens with Balanced Optical Steady Shot. 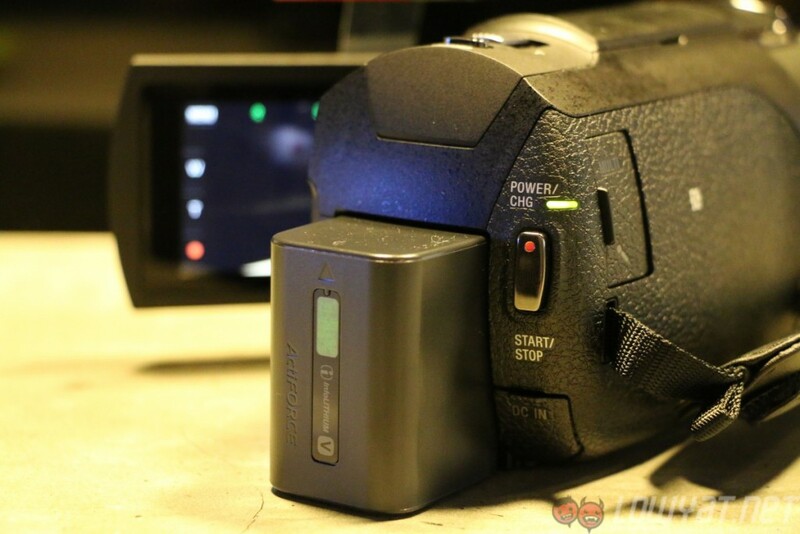 The FDR-AXP55 also houses a 50 lumens built-in projector with external inputs. 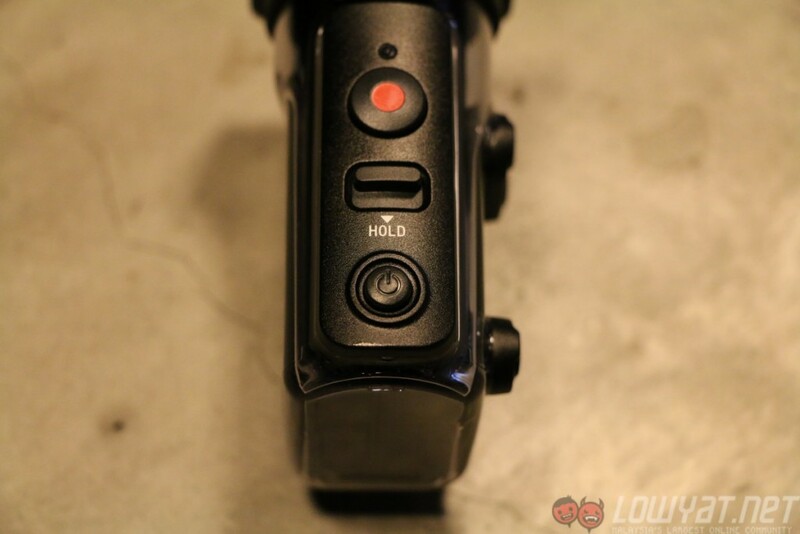 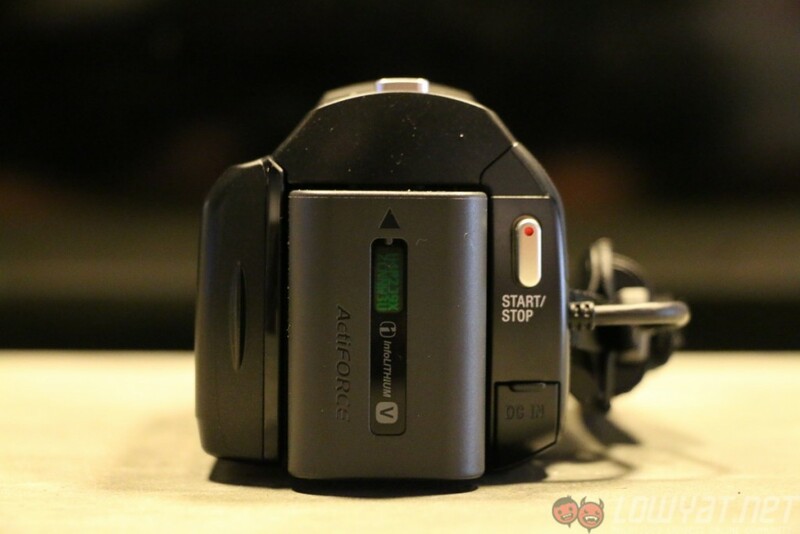 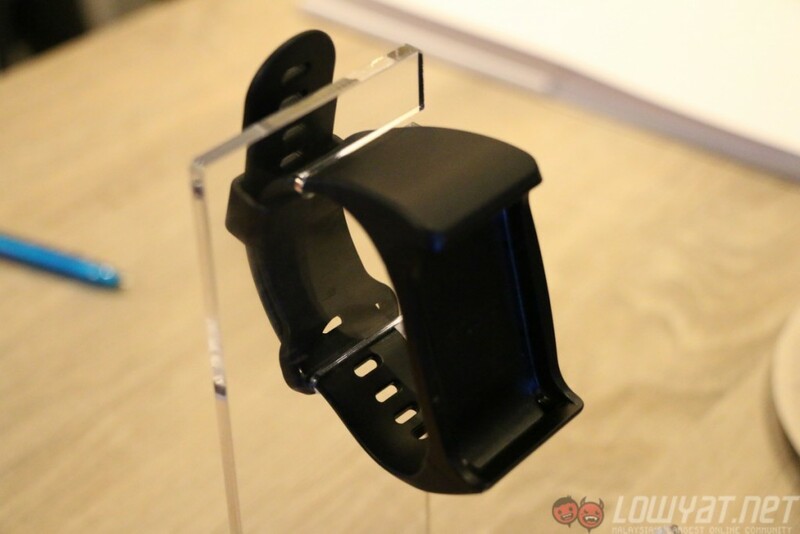 Other than that, it also features a manual control ring, an electronic viewfinder, Time Code recording, as well as User Bit for better shooting flexibility. 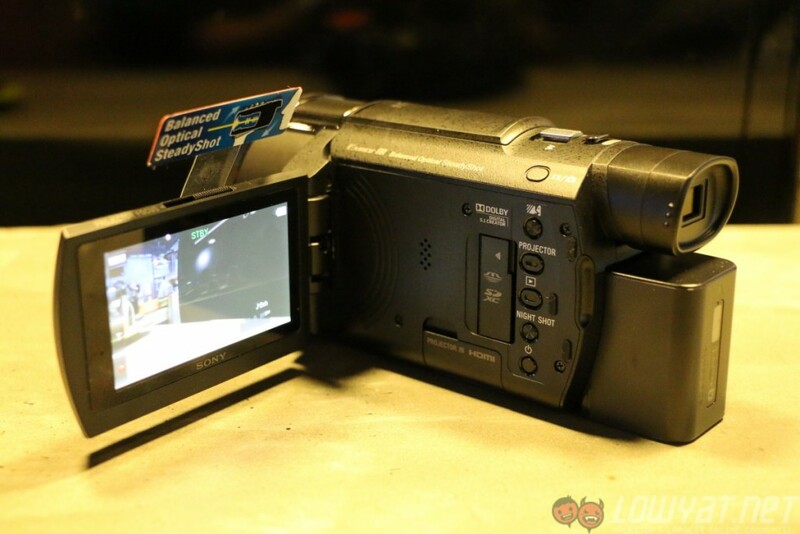 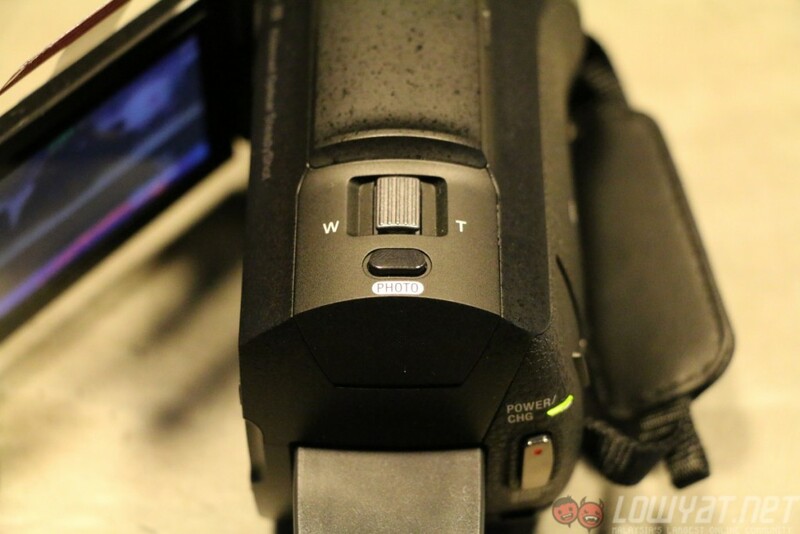 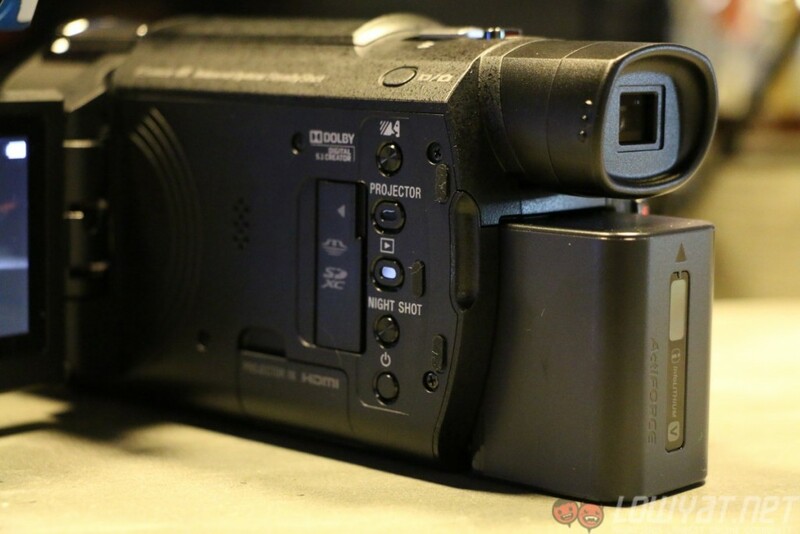 On the other hand, the FDR-AX40 Handycam is essentially the same model as the FDR-AXP55. 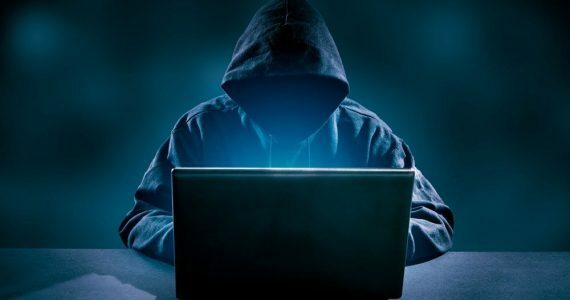 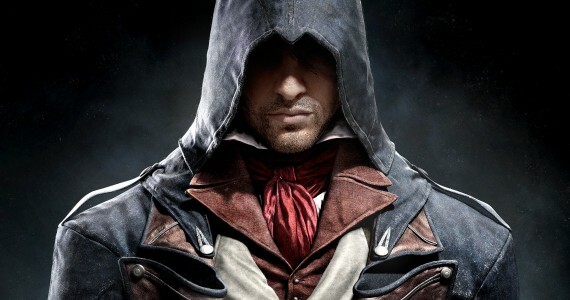 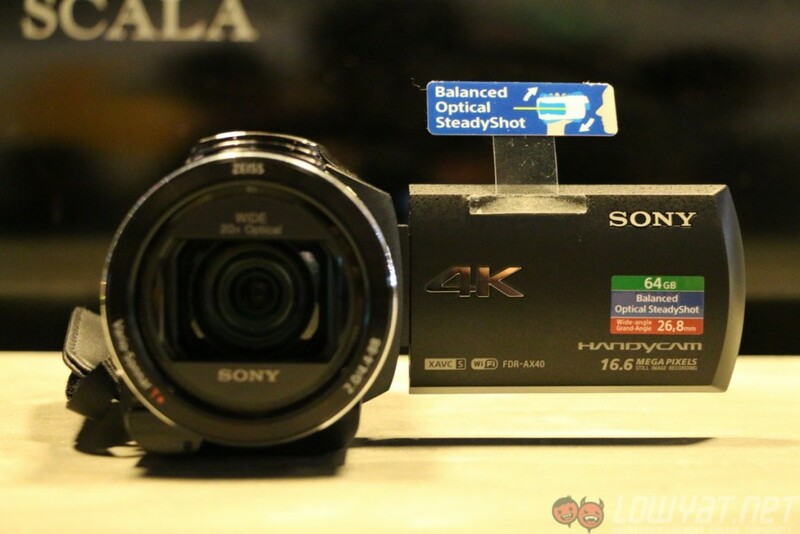 This is because they share the same hardware, with a few differences here and there. 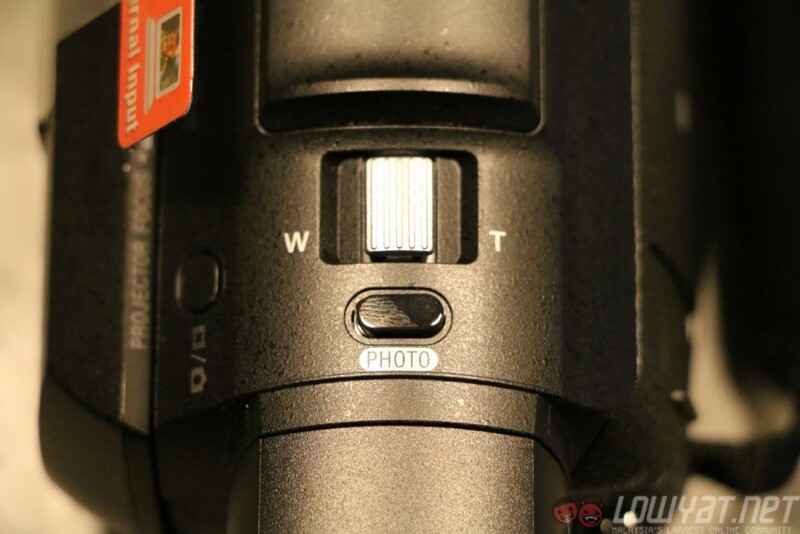 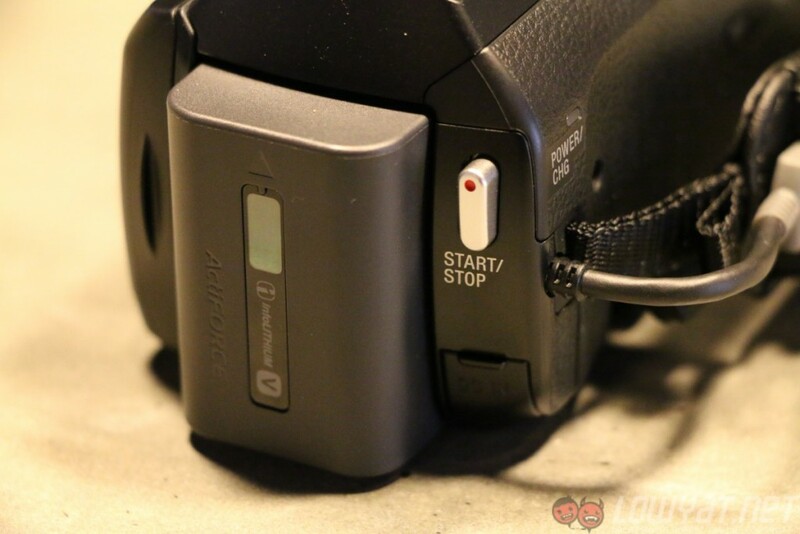 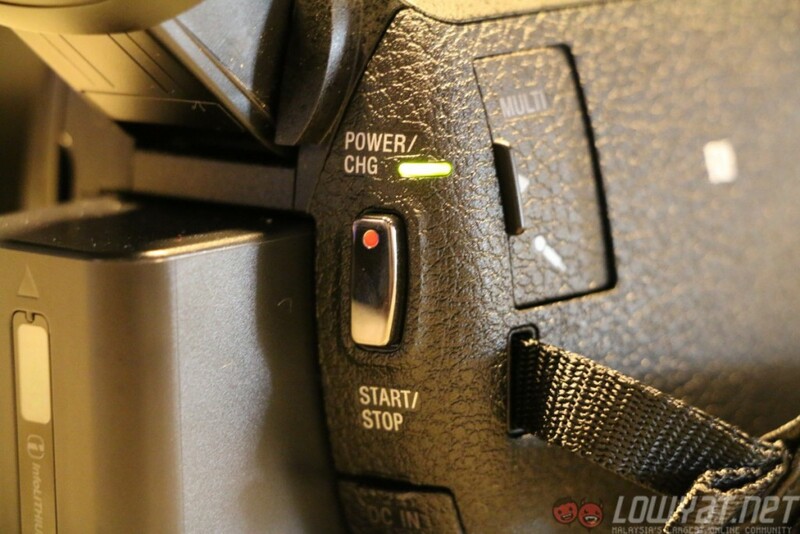 On the FDR-AX40, there is no “Night Shot” mode, nor is there a manual control ring. 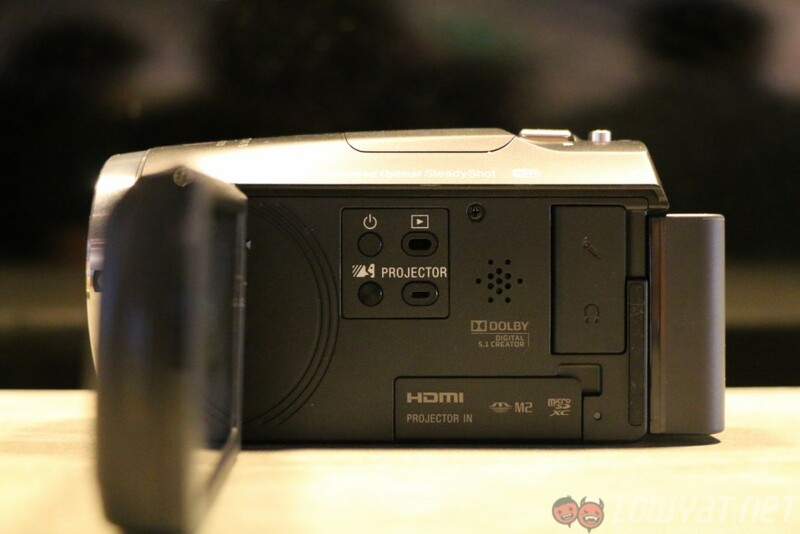 It also does not have a built-in projector. 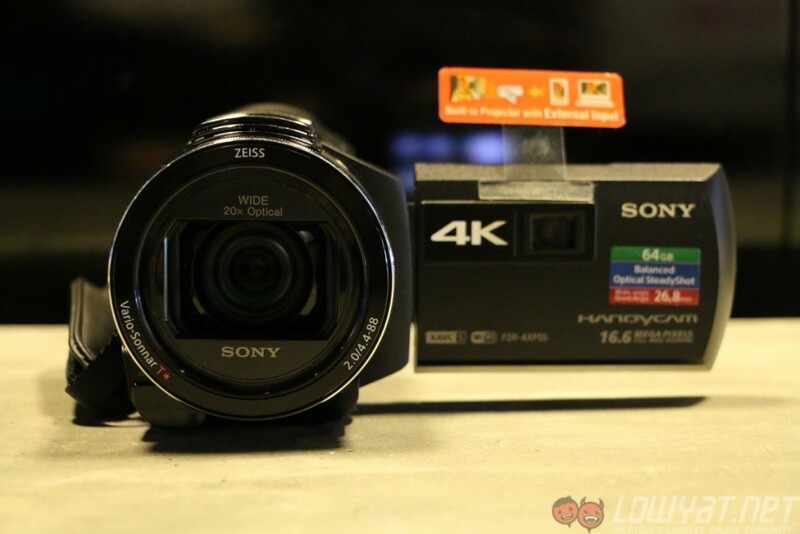 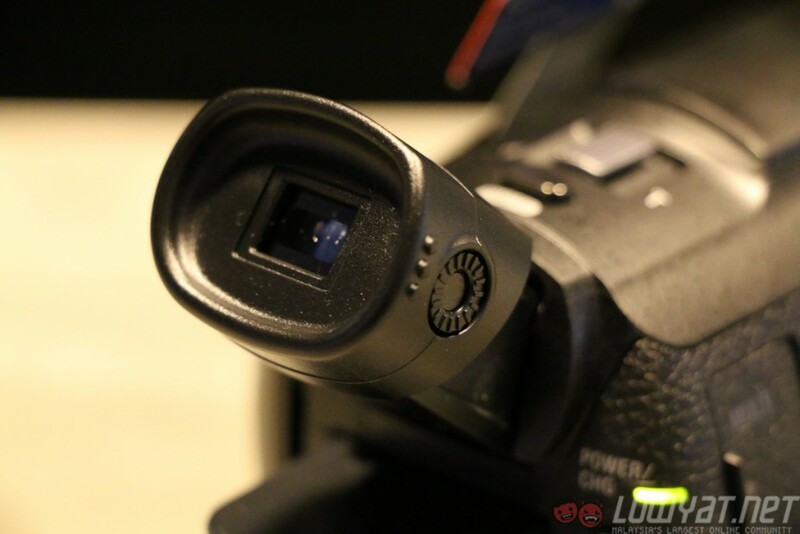 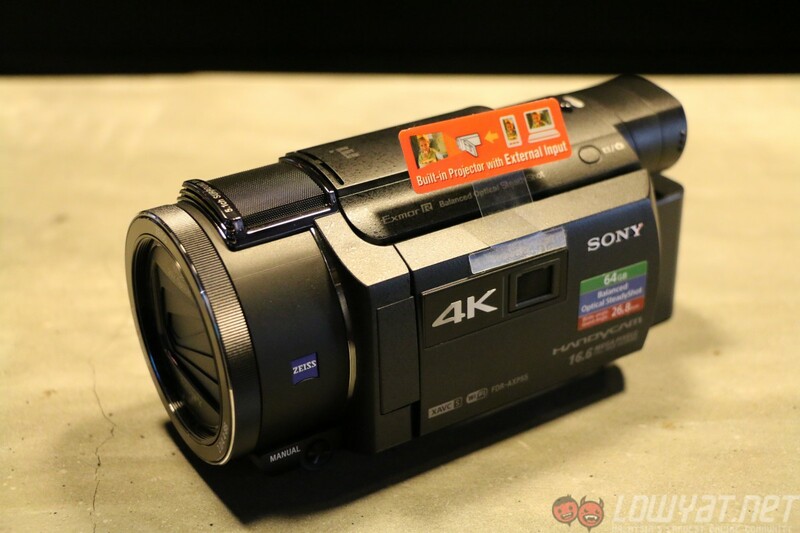 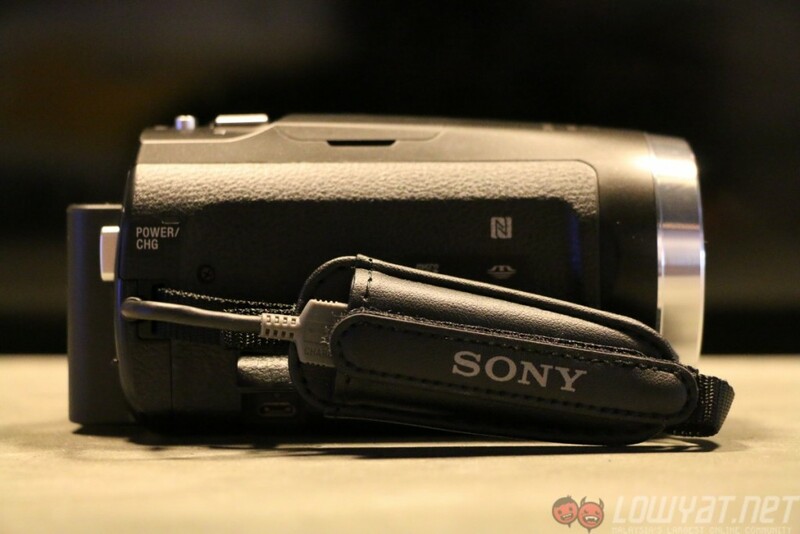 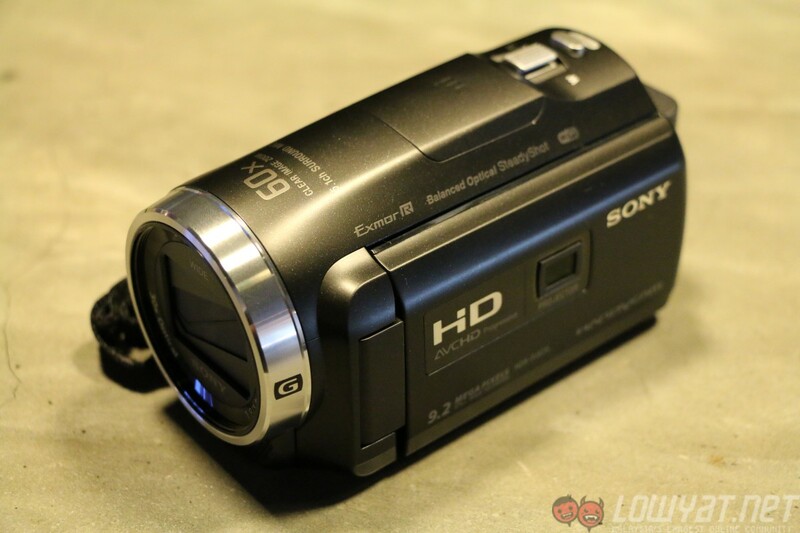 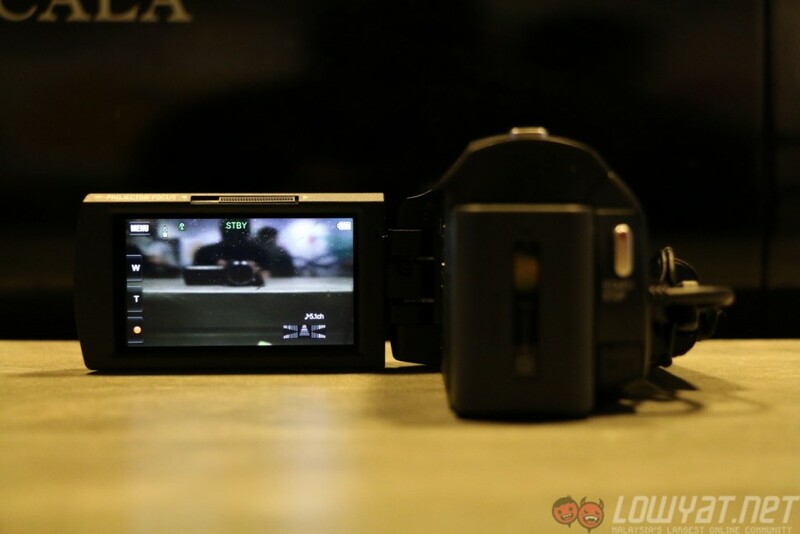 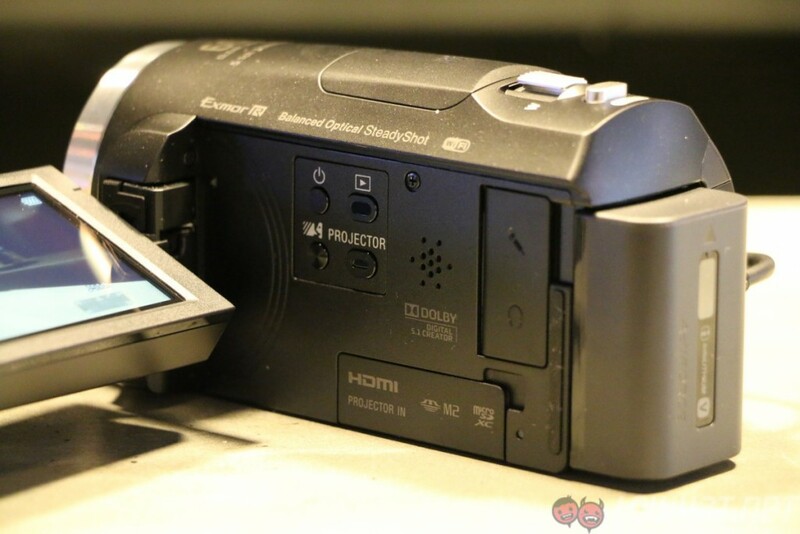 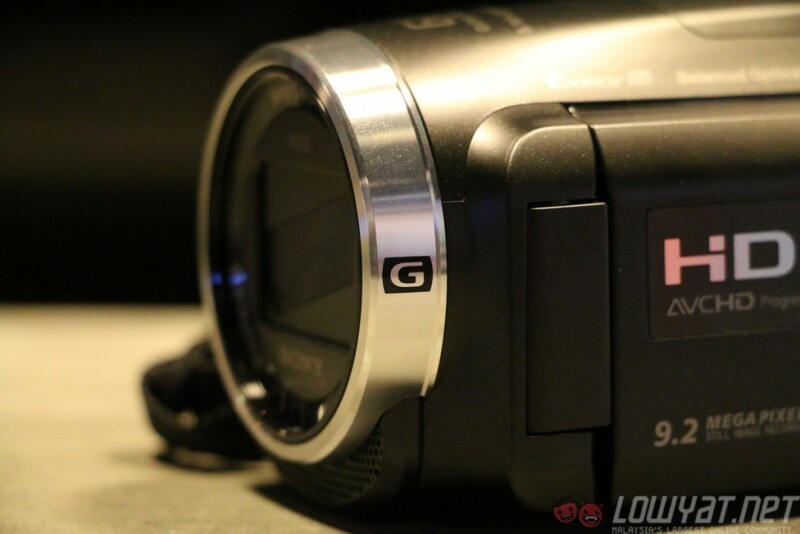 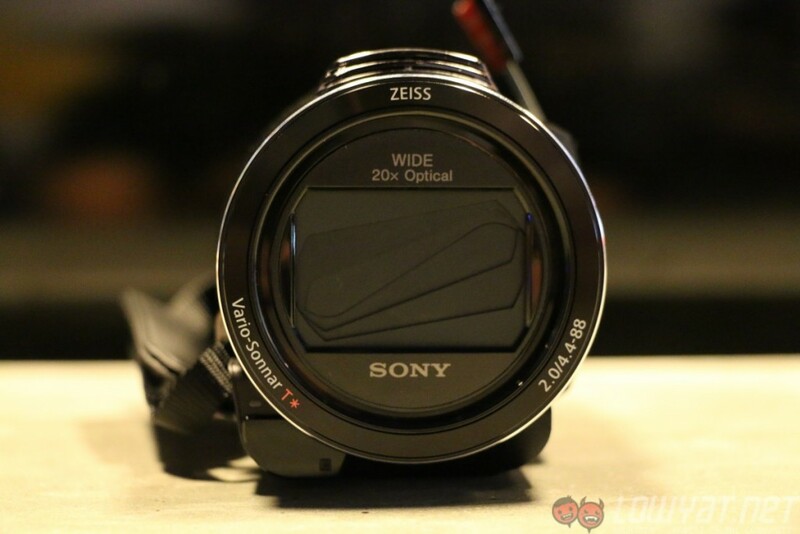 As for the lower end Handycam HDR-PJ675, Sony decided to include the built-in projector. 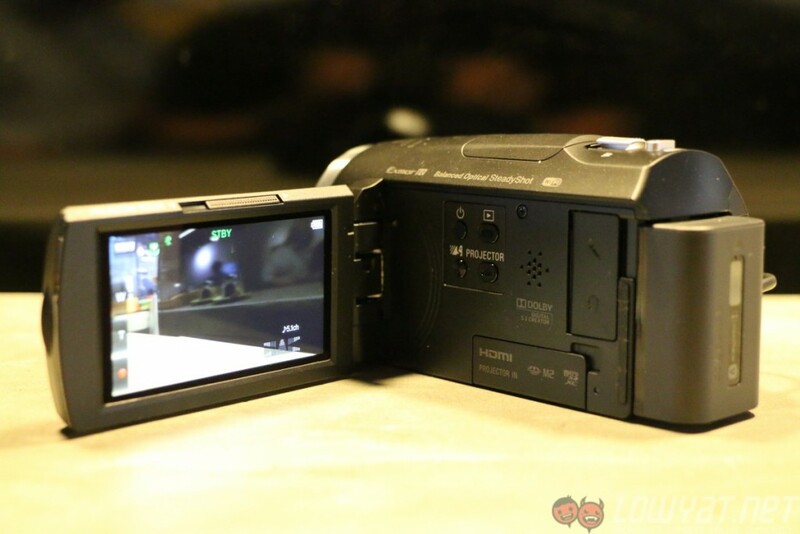 It doesn’t support XAVC S 4K recording, but it does have XAVC S HD recording. 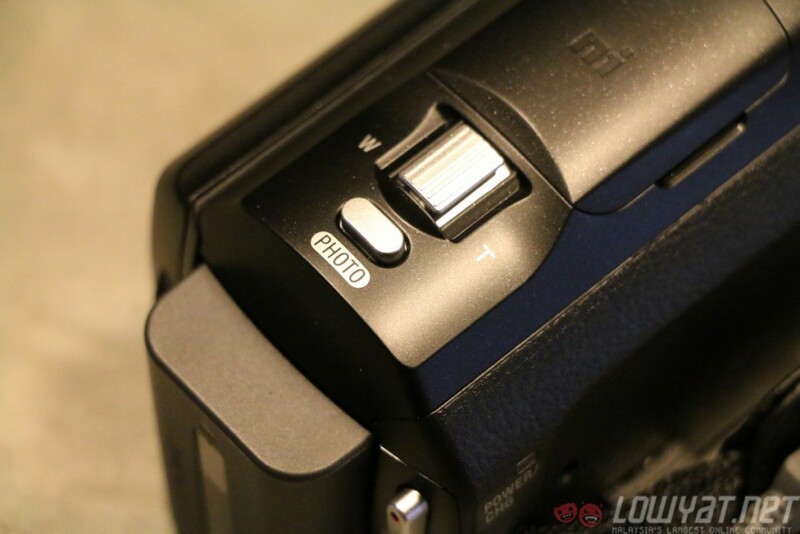 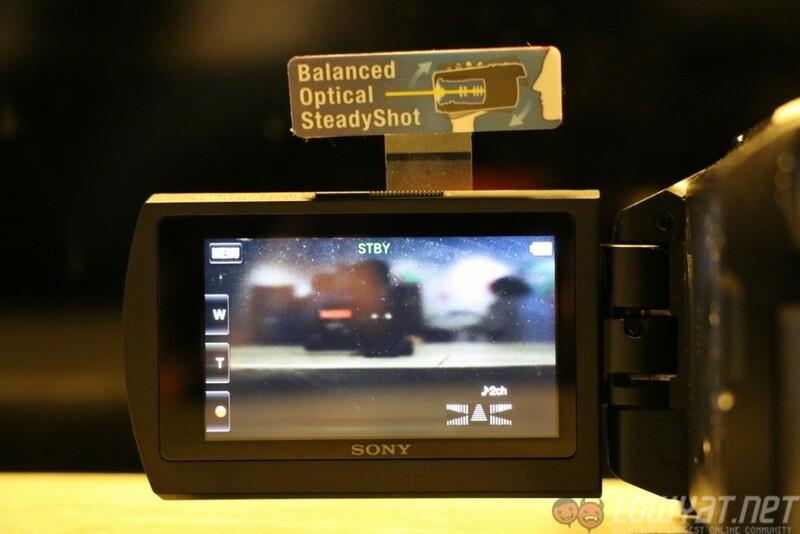 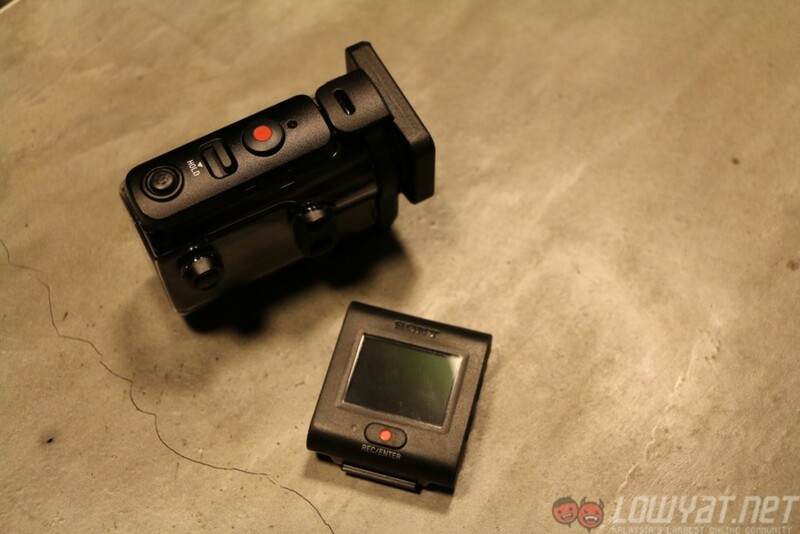 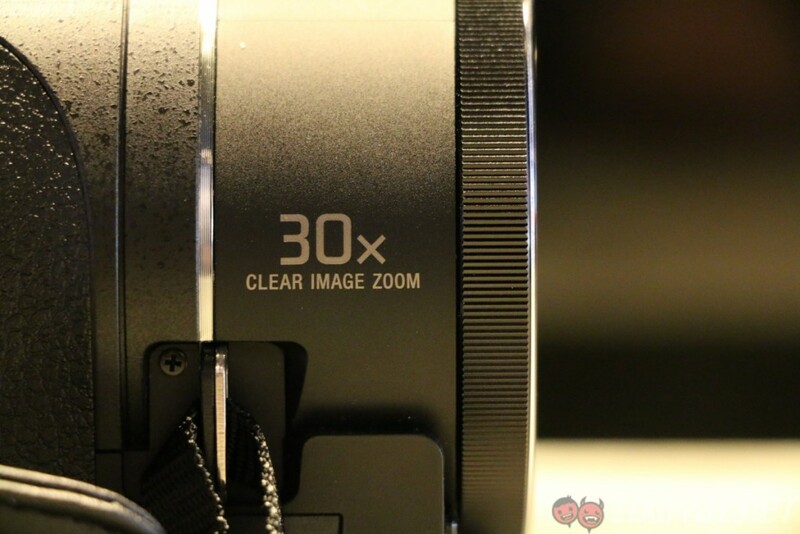 It also uses the same Exmor R CMOS sensor as the other Handycams, with the inclusion of Balanced Optical SteadyShot. 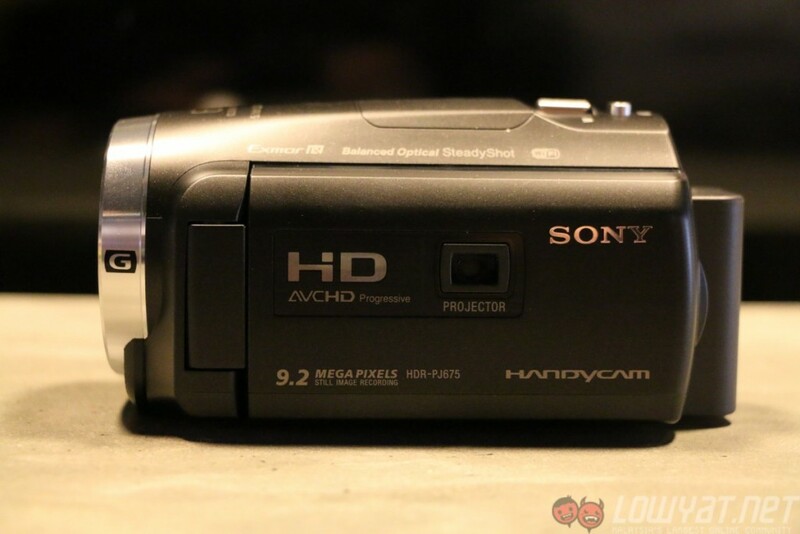 There is no “Night Shot” or manual control ring on this Handycam, but it does come equipped with auto wind noise reduction. 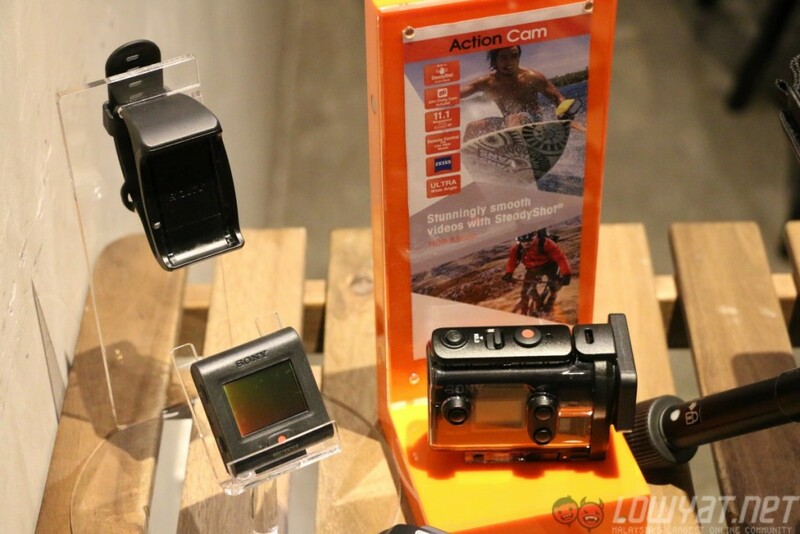 For those who have a love for sports, Sony also launched the HDR-AS50 Action Cam, which is capable of recording in XAVC S format at 50Mbps. 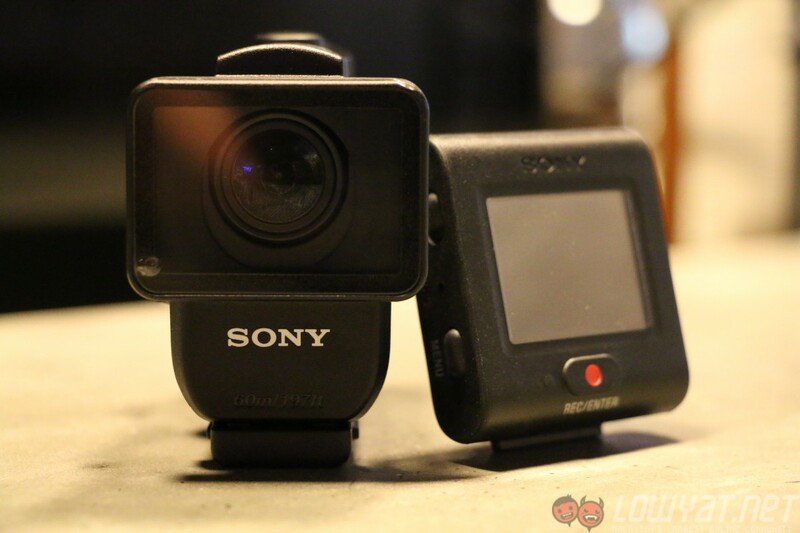 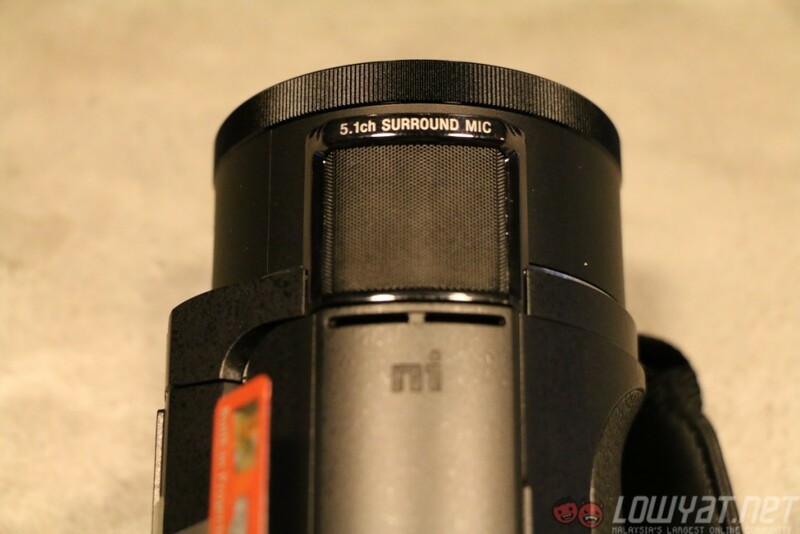 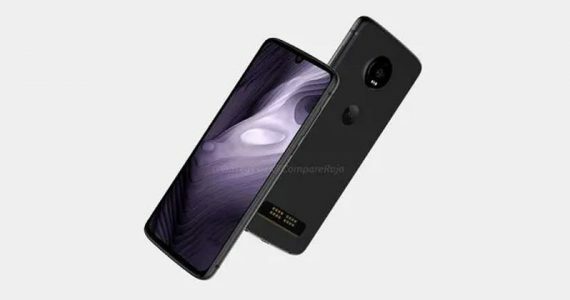 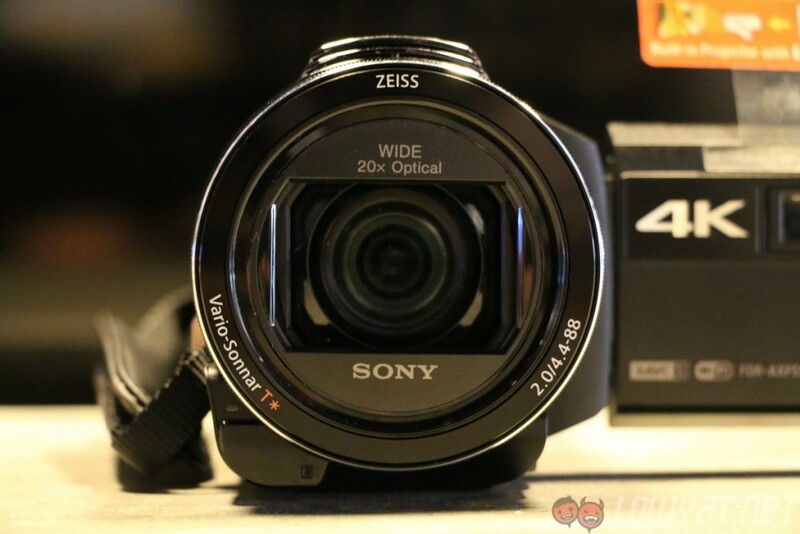 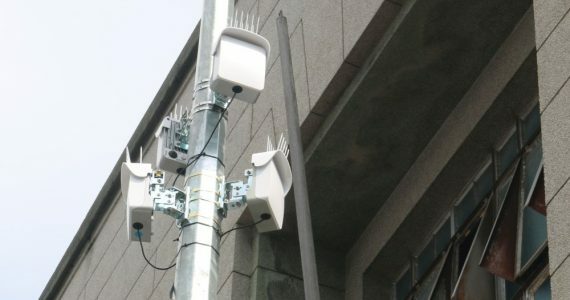 It sports an 11.1MP back-illuminated CMOS sensor, coupled with Sony’s Advanced SteadyShot, which is also found in the higher-end FDR-X1000V Action Cam. 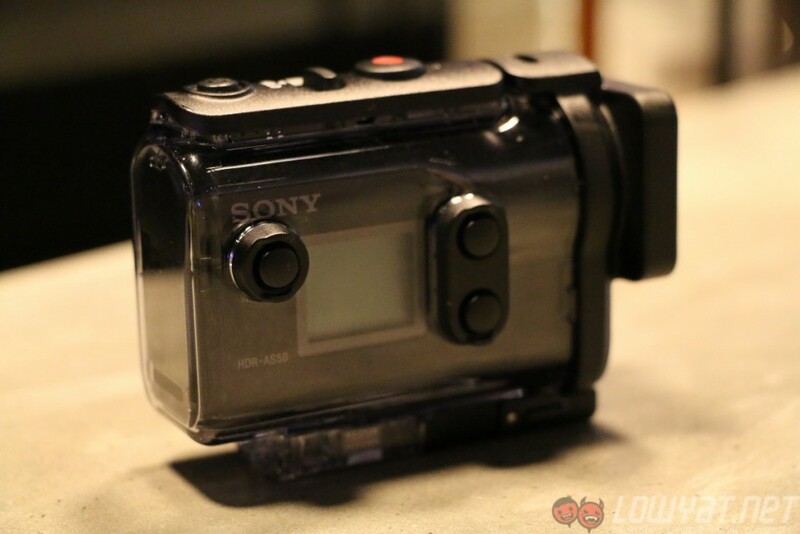 Other than that, the AS50 comes with an underwater housing: it can be operated 60m underwater. 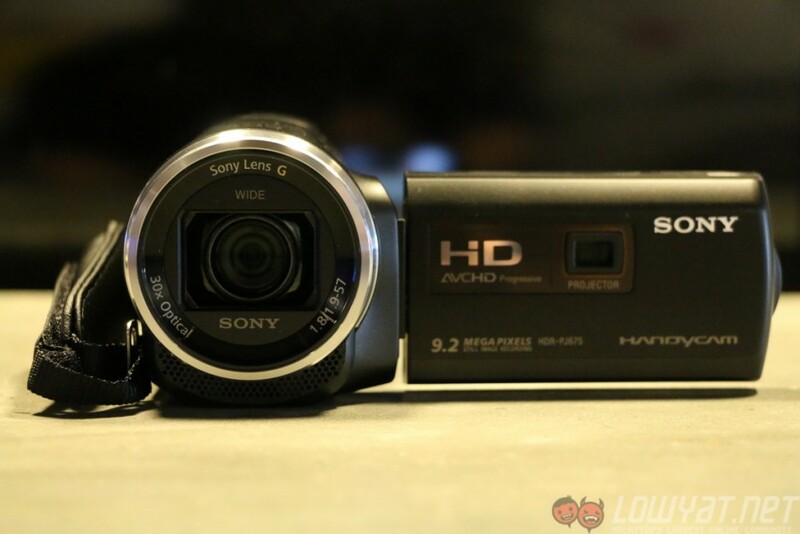 All three of these new Sony Handycams will feature live streaming via USTREAM, and also an automatic in-cam movie editor – Highlight Movie Maker. 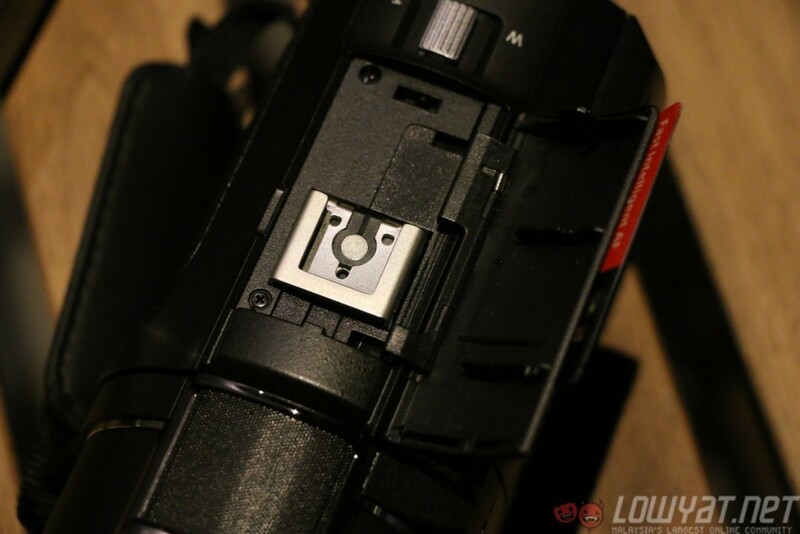 Both the FDR-AXP55 and FDR-AX40 has a hot shoe mount for added capabilities with supported Sony accessories like a flash module, boom microphone, and more. 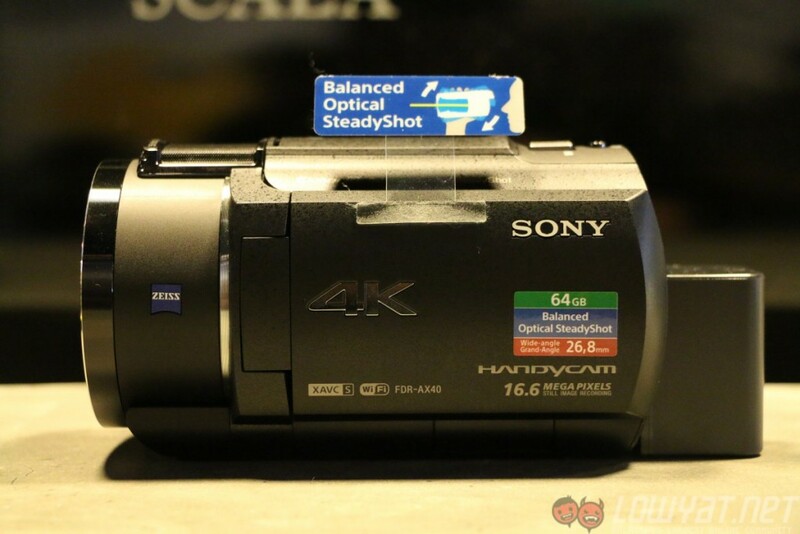 Also, do take note that recording in 4K 100Mbps XAVC S format requires an SDXC/SDHC memory card. 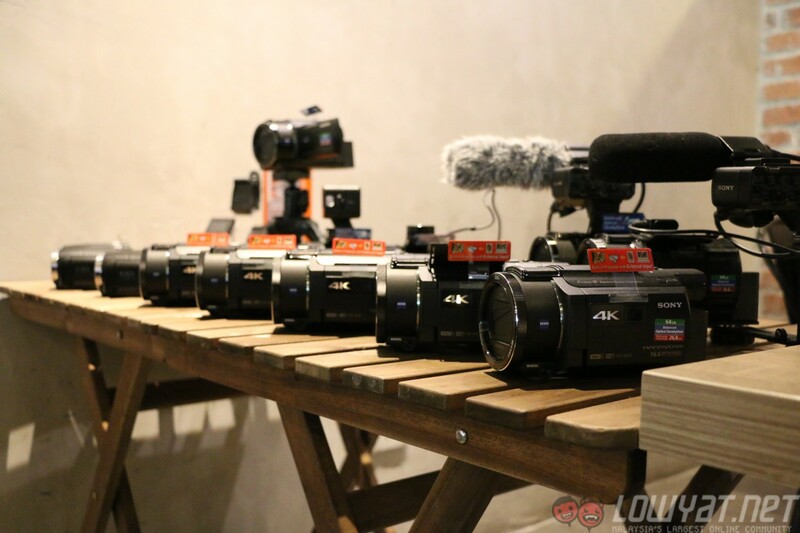 The Sony FDR-AXP55, FDR-AX40, HDR-PJ675, and HDR-AS50 are now available in Malaysia, and they will go for RM5,499, RM4,699, RM3,999, and RM1,499 respectively.